Lt. Jimmy Adams has been a firefighter for almost 30 years, but he'd never had a call like the one that arrived on the Company 2 fire station's front step Sunday. 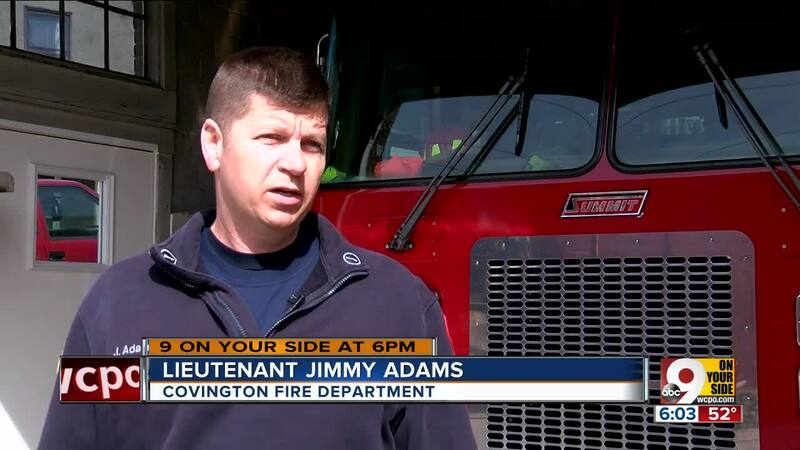 COVINGTON, Ky. — Lt. Jimmy Adams has been a firefighter for almost 30 years, but he'd never had a call like the one that arrived on the Company 2 fire station's front step Sunday. There was a knock at the door, then a more forceful beat. Two people were there with a 9-month-old who appeared to be having trouble breathing. 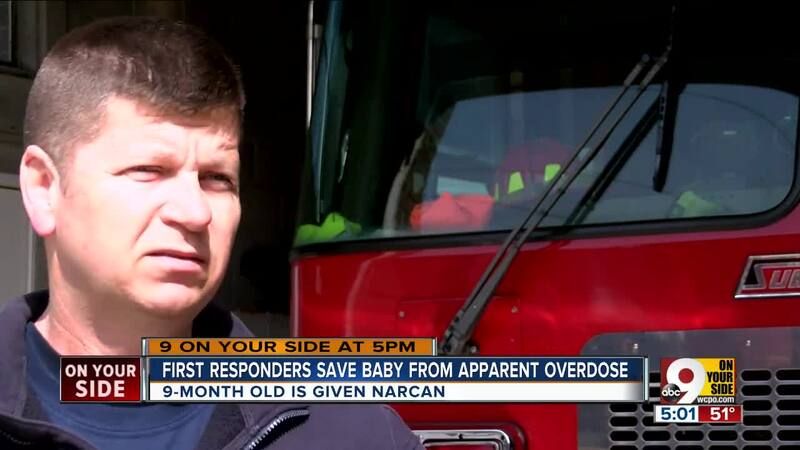 The baby appeared to have suffered an opioid overdose. "Generally, we get in the fire truck, get your mind wrapped around a call," Adams said. "You get time to prepare what equipment you're going to take. This jumped in our lap pretty quick." The three-person crew reacted quickly, performing CPR and calling an ambulance to drive the baby to Cincinnati Children's Hospital Medical Center. "With infants, small children, we worry about — a lot of times, respiratory problems lead to cardiac arrest," Adams said. "So no matter what, we wanted to make sure that this child continued to be oxygenated so that we kept a heartbeat, which is what we did all the way to Children's Hospital." The baby was given Narcan at the hospital, according to police. Adams said he heard the baby crying as they were leaving the hospital. "That means he's breathing a lot better than when I first laid hands on him," he said. "Child calls are always the most stressful thing that we do. It puts a lot of pressure on you. There's a lot of raw emotion because no one wants to see a child injured or sick." Marcus Grissom, of Cincinnati, and Angel Terry, of Covington, each face a wanton endangerment charge, according to a police report. Police said they couldn't provide any more information about the incident, calling it an active investigation. Kenton County Commonwealth's Attorney Rob Sanders told WCPO Monday that it was unclear whether illicit drugs were involved. However, cases in which children require life-saving care after accidental drug exposure have become increasingly common, according to Sanders. "Somebody tries to hide their drugs from the police when they throw it in the floorboard or the back seat in the car," he said. "It's within reach of the child. That’s an instance, an example of the thing kinds of things we’re seeing. The drug problem — epidemic — is spreading beyond simple addicts consuming a substance. "It puts other people in danger." Sanders encouraged anyone with a drug abuse problem to seek help. "All the police departments have Angel Initiatives where you call a police department up and you say, 'I have a drug problem; I need help,'" he said. "...Even if you don't have money, don't have insurance, there is somebody out there that can help."